The folding wire container have the uniform specification and fixed capacity that makes the inventory easily clear, sort and count, so as to improve the utilization ratio of warehouse efficiently. Moreover, the sturdy and durable product is easy to carry and can be recycled. Metal strip, film, paper board and master carton. 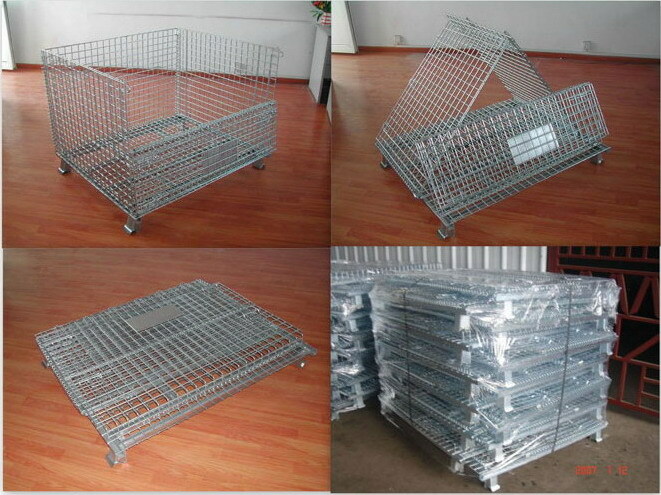 Wire Mesh Container comes in different sizes. Following table illustrates the standard designs and sizes used around the world. However we are always open to new ideas and requirements from our clients so if the dimensions are not listed in the table below, don't worry! let us know and we'll make it for you. Table above shows standard sizes. However all the parameters can be changed as requested. Jiangsu Ebil Intelligent Storage Technology Co., Ltd is a state-level high-tech enterprise, which is committed to the planning and design, system integration, project implementation and after-sales service of automatic three-dimensional warehousing and logistics of enterprises , so as to provide customers with "pre-sales, sales, after-sales" one-stop service. Boasting its own modern manufacturing base, the company provides the automated and intelligent products of logistics system, such as rack, tunnel stacker, automatic transport system, AGV, and sorting and picking. It is committed to designing the exclusive robots in accordance with customer’s demands, such as industrial robot and service robot to replace people, and developing and manufacturing military and civilian integrated series of products. The company has successfully applied for more than 20 national patents, and widely applied its products to a variety of industries, such as large machinery, electronics, electric power and grid, logistics, petrochemical industry, automobile, paper-making, furniture, coal, medicine, food, light industry, tobacco, textiles, aerospace, troops, railways, civil aviation, ports, and refrigeration. If you need an advice, just call our export office at 0086-25-52757208, we will answer your questions immediately. 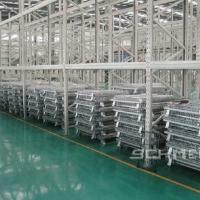 We are a manufacturer which wholesales storage rack in large quantity for over 20 years.